Sure, you might not be able to visit each of your customers in person, but sending them all a personal video is the next best thing. 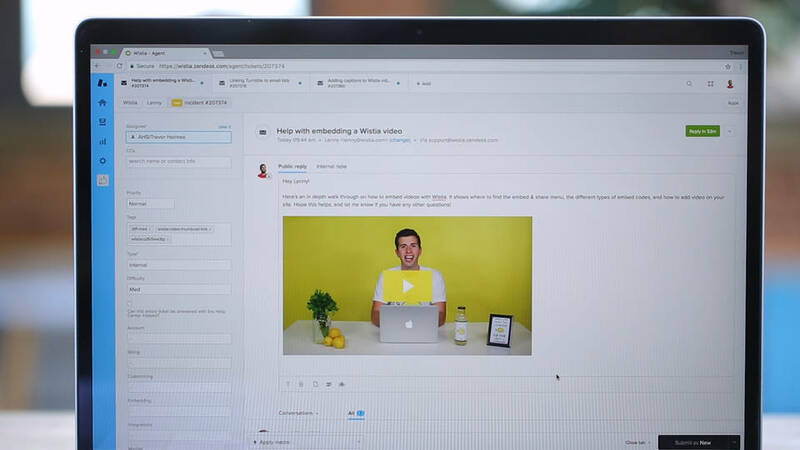 Use Wistia’s support integrations to bring video to your customer service software, and include videos in your tickets with just a few simple clicks. Wistia also enables you to create custom support videos in just a few minutes, so you can bring a truly personal touch to your customer support. Get started using Wistia with your support tool today!